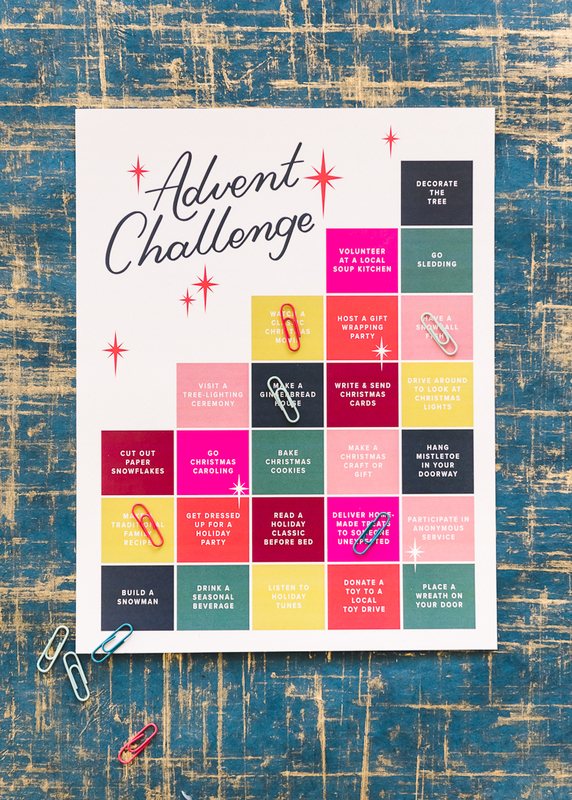 Each day in December select one item from the Advent Challenge printable and commit to do it that day! 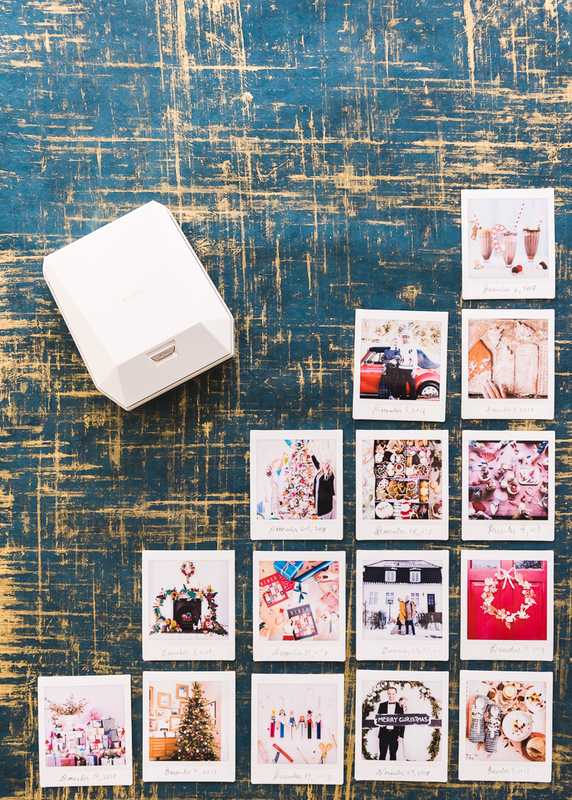 Then take a photo of yourself doing the activity and print it out using the FUJIFILM instax SHARE® SP-3 SQ printer. This printer is amazing because you don’t need a special camera to take these photos. 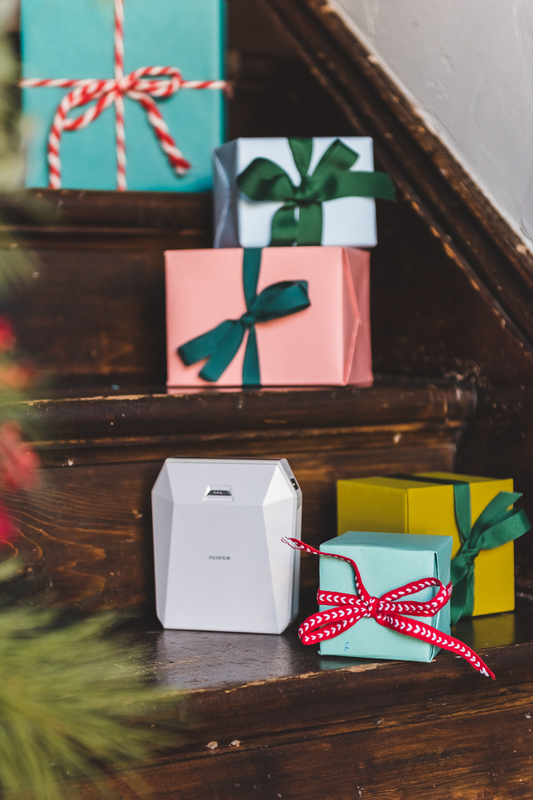 You simply download the Instax SHARE app and print photos you’ve taken on your phone, from social media apps, or photo accounts on the FUJIFILM instax SQUARE® film. It’s really genius because you can make sure you’ve got a perfect photo BEFORE you print. Yes, please! 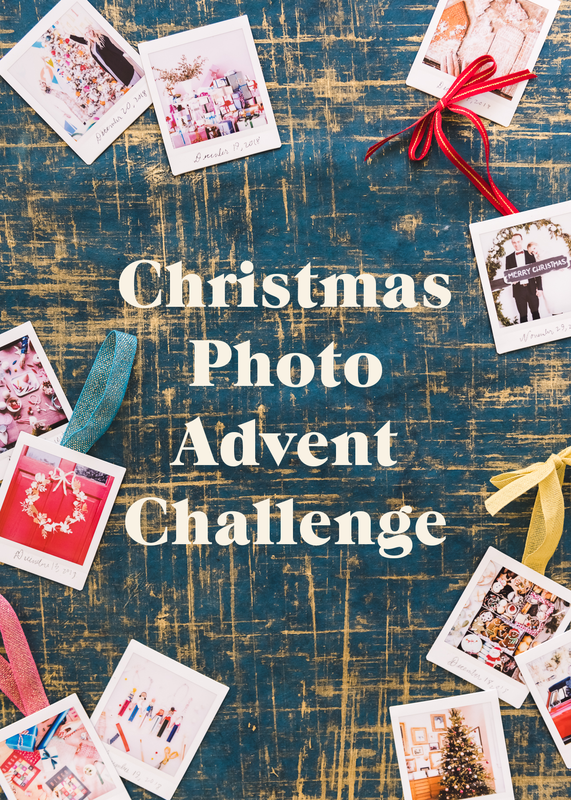 Like a traditional Advent Challenge, we want to create a beautiful display with the photos we take. After we printed out each photo, we wrote the date and a caption on the bottom. 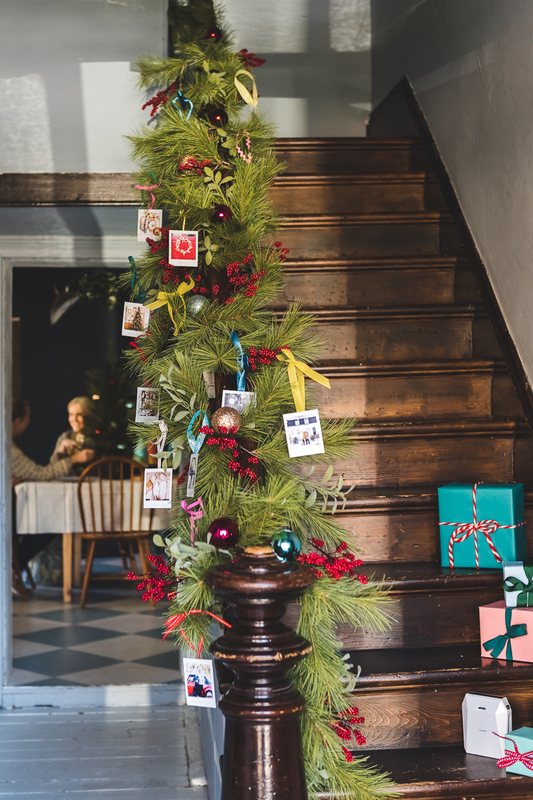 Then we glued a piece of ribbon to the back to turn the photo into an ornament and hung it along a banister. 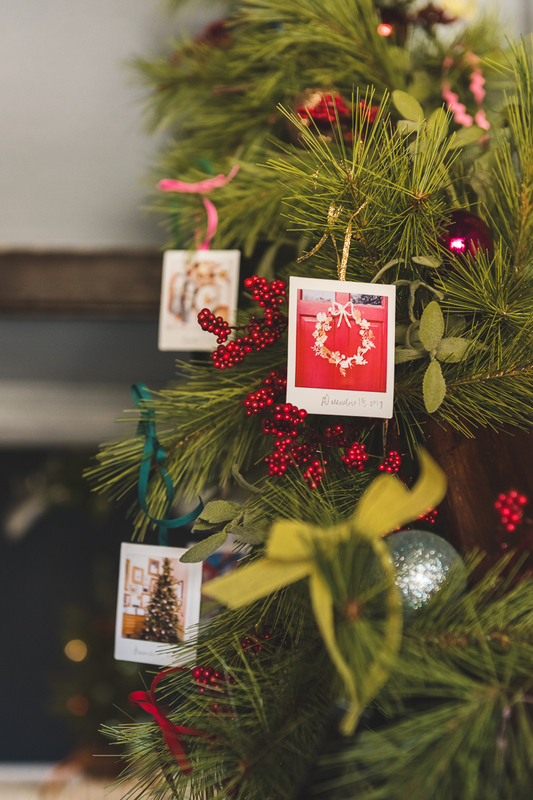 You can display your photos however you like: as ornaments on your tree, hung over your mantel, taped to the wall, etc.. Once Christmas has come and gone, take your photos and put them into a little album so you can look back at them year after year. 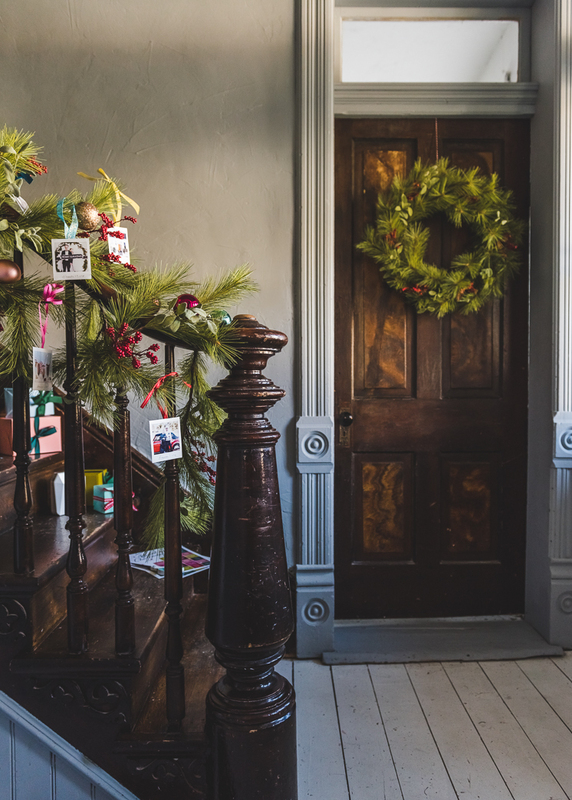 It’s a perfect way to remember all the special holiday memories you made. 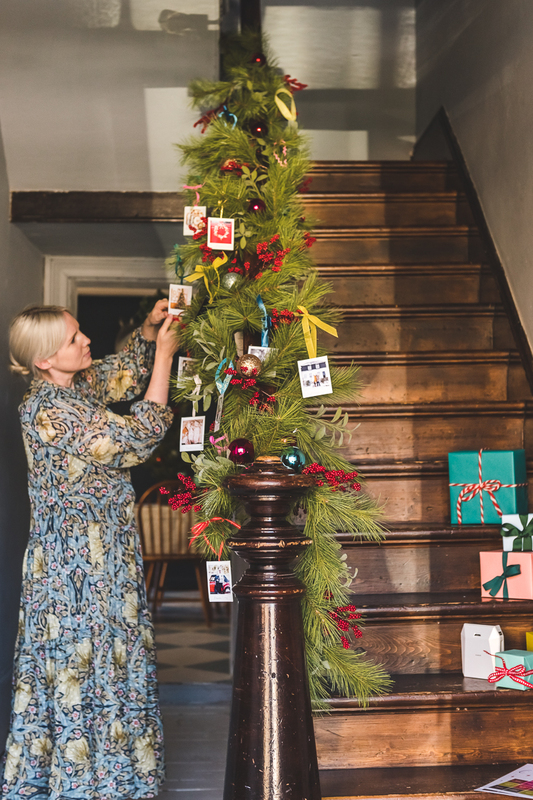 You’ll need a hot glue gun and some ribbons if you’d like to turn your photos into ornaments. 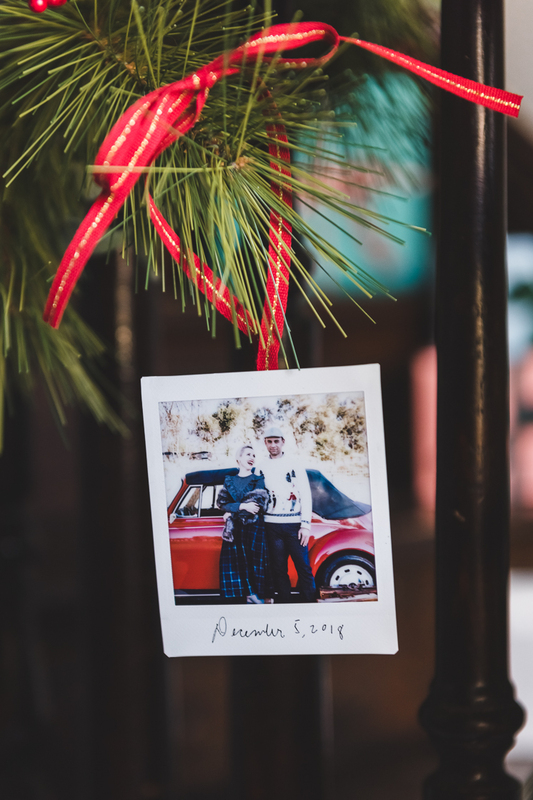 The instax® SP-3 has tons of awesome features. You can add text to photos, make a collage of images, and even add filters. 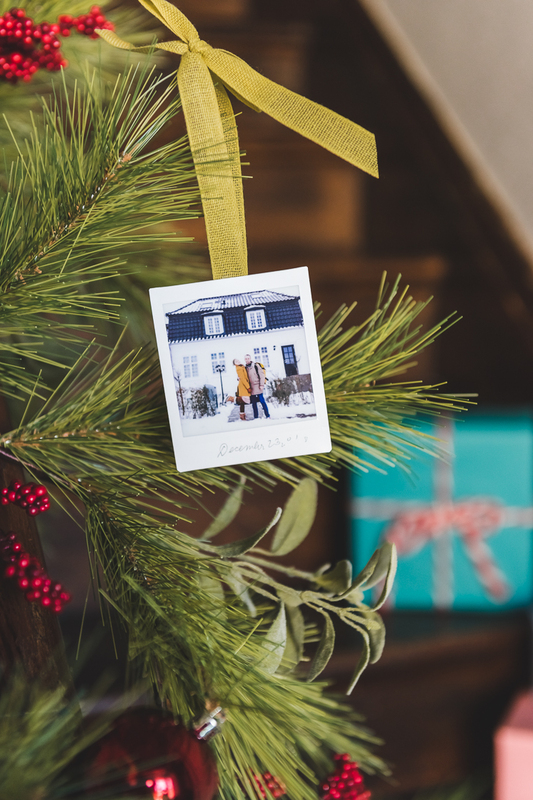 It’s super user-friendly and allows you to make tangible representations of wonderful memories. 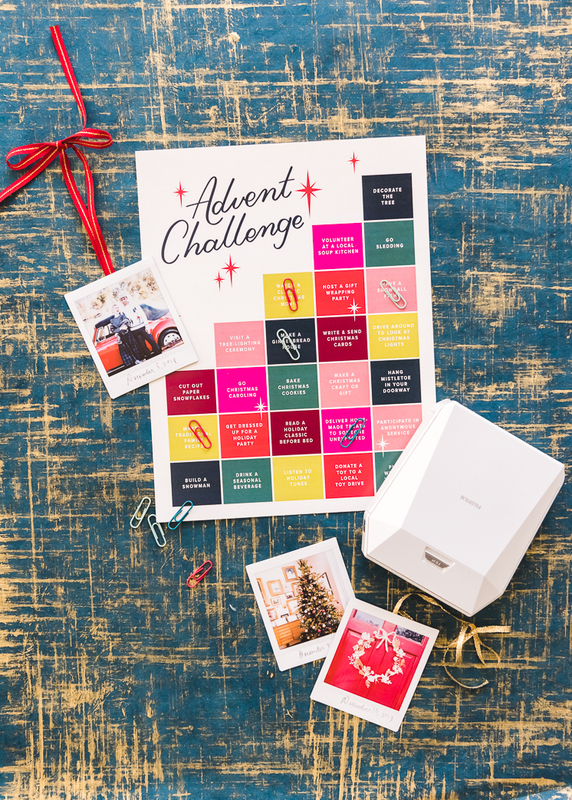 Make sure to get your friends and family involved too, so you can all work on this challenge together! This post was sponsored by FUJIFILM instax. All opinions are my own. Thank you for supporting the companies that keep Lars thriving! I cant seem to find a link on the post for the printable. Am I crazy? So sorry, the link is updated now!